Isn’t there something really, really satisfying about getting a new Home Watch client? All of the time and effort you put into your sales pitch, the relationship building, the selling of your services all pays off with that gratifying handshake that says you’ve just grown your business. 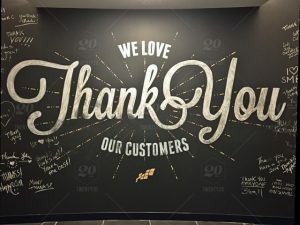 We know exactly how gratifying that is, and how easy it is to become hyper-focused on growing your business, but today we wanted to take a step back and talk about the part that comes after you get a new contract signed, keeping your clients happy. There have been lots of studies done on the costs associated with retaining versus acquiring clients. Depending on which study you read and which industry you’re in, landing a new client can be anywhere from 5 to 25 times more expensive than keeping an existing one. It makes perfect sense. If you keep your clients happy you don’t have to spend time and money going out and finding a new client. But it’s not quite so simple, there is a price to pay to keep your client’s happy, which might be a time or monetary investment, but there is also a huge return. Continuing Business – You get to know your clients and their needs over time and the relationship becomes easier and the client requires less help. They’re also more likely to purchase additional services from you if they trust you with one service. Referrals – Happy long-term clients are more likely to introduce your business to others through word of mouth recommendation, and to leave positive reviews online. Happier Employees – If you run a business dedicated to keeping your homeowner clients happy and loyal, as a side product you’ll also increase employee job satisfaction and create a happier work environment with less employee turnover. This, in turn, will lead to better, more consistent customer service from your employees and happier clients. Win-win! Keep in touch with your clients. A quick phone call before your client leaves for an extended absence to touch base, and another, after they return from their time away, leaves clients feeling well taken care of. While they are away, keep them updated and in the loop with reports from every Home Watch visit. Our QRIDit reporting software allows you to streamline the process and auto-generate digital reports for your clients allowing for seamless back and forth client communication. Watch for value-added services that you can offer to your existing clients. Take a look at your existing customers and your service offering. Ask if there is anything more you could be doing for them. Don’t forget about the rest of your team. Employ staff who you can trust to keep up your high service standards, are enthusiastic and know what they’re talking about. Your ability to keep promises to your clients is closely tied to your reputation as a Home Watch business. It can be tempting to promise the world to a new client in order to get a contract signed, but not being able to follow through on promises damages your reputation and can be a factor in the client switching to another Home Watch company. Nothing says appreciation more than a small gift for a loyal client. We love that some Home Watch companies using our software leave simple gifts for homeowners returning from an extended period away. A bottle of wine, some flowers, small gifts that have your brand on them, anything that you might think the homeowner might appreciate and fits your budget will go a long way to show appreciation. A loyalty program is also an idea to explore. Perhaps the one-hundredth home watch visit is free or a discount on additional services purchased, really any offer that fits your company. The main takeaway is this; the better you take care of your existing clients, the happier they will be and the higher your retention rate will be. You will generate long-term clients who trust you to take care of their home and become advocates for your company and services. If you feel like you’ve mastered the art of keeping your clients happy and want to learn more about growing your business check out our post on 5 Creative ways to Grow Your Home Watch business.